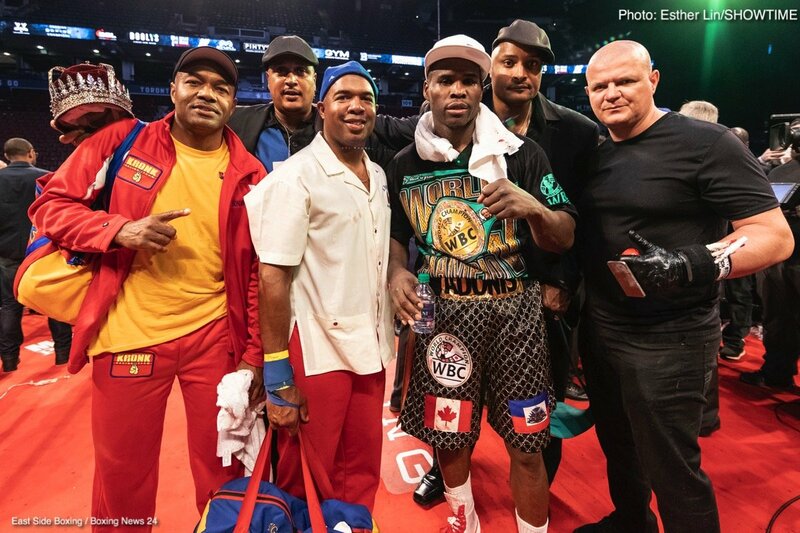 Adonis “Superman” Stevenson is the WBC and Lineal Lightheavyweight Champion. He is also 40 years of age. He will be 41 on September 22nd of this year. Both of these facts were points of contention following his title retaining performance this weekend. On Saturday May 19th Stevenson defended his title against Badou Jack “The Ripper”. With scores of 114-114 twice and 114-113 for Badou Jack. Stevenson escaped with a majority draw in an exciting and entertaining fight. Jack clearly had a game plan coming in to let Steveson tire himself out and then pounce. Which is exactly what he did. Jack was largely inactive the first half of the fight only to comw on strong during the second half of the fight and push a tiring Stevenson to the brink of defeat. While many may argue who deserved the victory or Badou Jack gameplan. One constant point being made is that Stevenson “finally” started to look his age. That statement is completely disrespectful to all parties involved. Stevenson is a fighter and a champion. He deserves to be more than just a number. If Badou Jack were to have qon that fight it was because he was the better fighter. Not because Stevenson got”old”. First off 40 is not the death knell it used to be. We have far too may examples proving otherwise. Juan Manuel Marquez, Larry Holmes, Antonio Tarver, Wladimir Klitschko and the immortal Bernard Hopkins are just a few examples of fighters who experienced success well into their forties. Not to mention that Adonis Stevenson is always in superb condition. You wont see many 40 year olds walking around in that kind of shape. He looks like a man half his age. There is no reason to believe he can’t keep going like this for at least a few more years. It wasn’t that long ago that 30 was considered then of your prime. Now we have fighters who don’t even turn professional until after 30 that still go on to have successful careers. Age is a fact. An inescapable fact. However it is not the end all be all of athletic success. In sports and everything else the better you take care of yourself the better you will perform and the longer you can sustain that perfromance. Let us stop giving these fighters excuses and putting asterisks by their victories. A Fighter’s loss should not be attributed to getting old. Just like a Fighters Victory should not be attributed to his opponent getting old overnight. That is disrespectful to both of those Fighters. Whenever and older fighter struggles and we say oh he is starting to show his age. That takes all of the credit away from his opponent. We are basically saying if he weren’t so old he be doing better. When we should be acknowledging the efforts of his opponent. Anthony Joshua did not beat Wladimir Klitschko because Klitschko got old. He won because he was the better and stronger man on that night. As far as Klitschko goes that is the best he has looked in the past 5 years and he was the only man to knock down Anthony Joshua. I don’t think there are too many old men capable of knocking down the heavyweight champion of the world. I would actually pick Wladimir Klitschko to beat any heavyweight today not named Anthony Joshua. Badou Jack did not give Adonis Stevenson one of the toughest fights of his career because Stevenson got old. He gave Stevenson a hard fight because Badou Jack is a talented fighter in his own right. So let’s give these fighters there due. Let’s leave the numbers out of our analysis and focus on who was the last man standing at the end of the night.